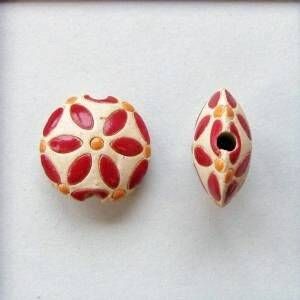 Red petals with orange center, great glaze colors and beautifully carved by Golem Design Studio. Wonderful for beaded kumihimo braids as a focal or accent. Lentil sizes are small and petite. This is the petite size.